After the talibé was taken to the hospital, I went with my research partner from the Senegalese human rights coalition PPDH (Plateforme pour la Promotion et la Protection des Droits Humains) to find the child's Quranic teacher. While his 20 talibés were begging in the streets, he was fast asleep in the Quranic school (daara). Another talibé from the daara told us that they had to bring back 250 francs CFA [US $0.40] each day. This is not education. This is exploitation, coupled with negligence – the child who brought us to the daara also had an infected, untreated wound on his hand. 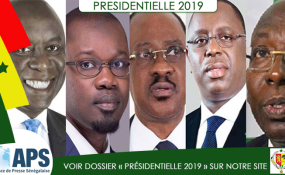 Candidates for Senegal's upcoming presidential election should keep in mind that talibé children are suffering and dying – both in the streets and in their still-unregulated daaras, where many endure forced begging and abuse. As the election nears, candidates and their political parties should make clear where they stand on this issue. The day after the Louga accident, we met a man in Saint-Louis who had witnessed the death of a talibé in December. "A car ran over him," he told us. "For three days after seeing that, I couldn't sleep." When he tracked down the victim's daara, the child's brother – another talibé – told him that the marabout asked the children to bring him 250 CFA each day. Over the past several years, I've visited scores of daaras where children live in horrific conditions, interviewed dozens of abuse victims, and witnessed hundreds of talibés – shoeless, dirty, malnourished or sick – begging in regions across Senegal. I have encountered numerous talibés with scars or bloody wounds, who said they were beaten for failing to deliver money to their marabout. Much of the government's emergency child protection work is left to regional social services offices, attached to the Justice Ministry, which lack the resources and personnel to fully carry out their mandate. Most offices are staffed by just three or four people, and some have no working vehicle. Some regions – such as Diourbel and Louga – have no government-run centers to shelter child runaways or abuse victims. Given the scale of the problem, it is crucial for the National Assembly to pass the daara regulation law, and for presidential candidates to elaborate clear proposals on how they plan to instigate real change for talibés. As Mamadou Wane, president of PPDH, recently wrote, "notably absent from the agendas of these [presidential] contenders… is the issue of child begging and abuse." Senegalese citizens should press for specific commitments. Lauren Seibert is an Africa research fellow at Human Rights Watch.